zaggora | Hows My Running? Click any of the links below to find out more! Have had some trouble getting onto wordpress for the last couple of days, has anyone else noticed this? Comes up with an error message of some kind. Not being much of a computer whiz, the only thin I was really able to do was hit the refresh button, and after that didn’t work gave it up as a hopeless situation. I have been trying to improve my meringues throughout this past week. We had spare egg whites on Saturday night from Spaghetti Carbonara, so I whipped up some cocoa macaroons. 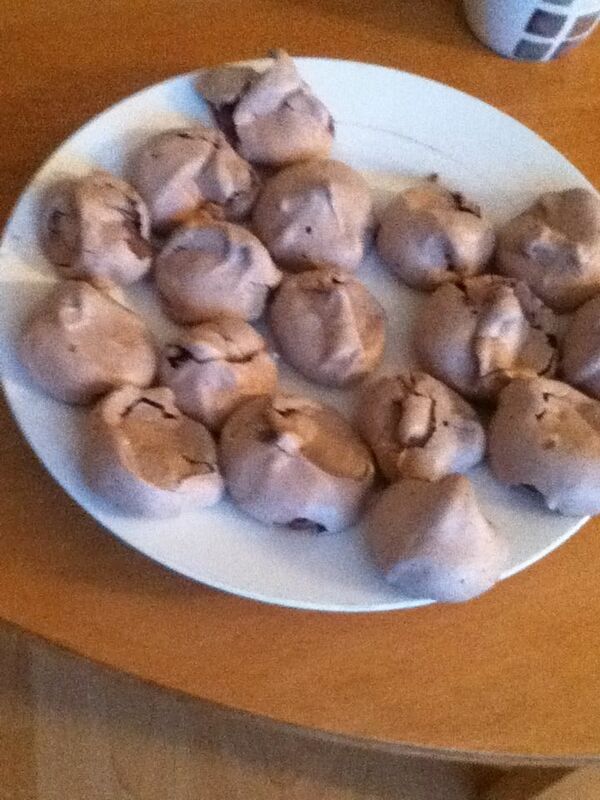 I don’t think I baked them long enough though, I prefer harder meringues and these had a gooey inside. Mmm, pretty much pure sugar! 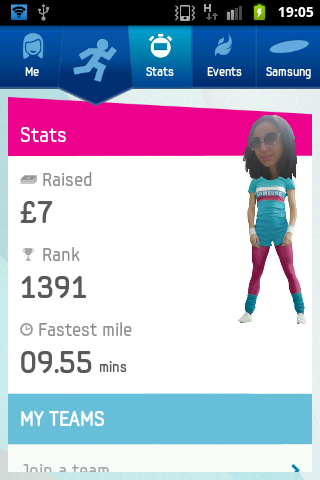 Anyhow, I’ve managed to cover 11 miles since last Thursday, which has resulted in £11 for charity thanks to the Samsung Hope Relay. It’s kinda depressing that a half marathon is longer than that in one run, but I am getting there, slowly but surely! Covered 4 miles last Thursday, 3 on Saturday, a nice easy recovery run on Sunday and another 3 miles on Tuesday. I’m finding my Viva hotpants to be incredibly effective, but I have been running slower when wearing them. My average mile time is down by around 20 seconds, but the HotPants provide extra resistance, which means that in those airy shorts that tennis players of old used to wear, my mile time would probably be faster. What I’m exponentially more excited about is the 2 week challenge I’ve been attempting, which comes to it’s end on Friday! I don’t think I’ll quite manage to lose two jeans sizes, because it’s going to take me a while to get to a size 6, but I am hoping for several inches of size reduction. Let’s wait and see! Burnin’ rubber in my new @Zaggora Viva’s! Click any of the links below to learn more. So happy! Finally managed to get out and do a proper workout in the new Viva HotPants by Zaggora. Ran up a total of 3 miles today, and at quite a fast speed, so I’m happy about that. Racked up another £3 for charity too. But that was not the highlight of my day. The best moment came afterwards. Took off my Viva’s and had a little inspection. 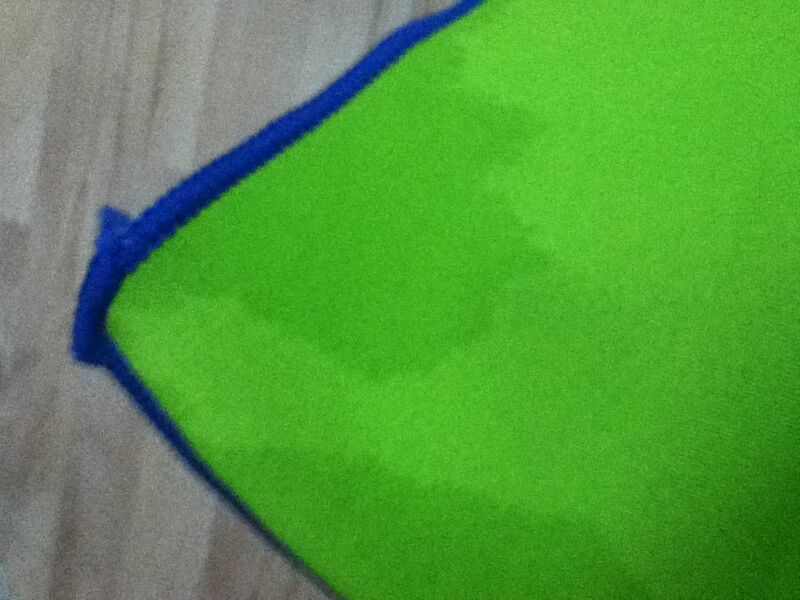 Yes, they are sweat patches! I can honestly say I have never sweated through my HotPants, but these Viva’s seriously up your temperature! I’ve never been so happy about visible sweat patches! I’ve been trying to get rid of the little ribbon of fat above my knee that the HotPants didn’t quite cover, so I’m incredibly excited that the Viva’s do. My skin was so smooth afterwards too, beautifully soft after I literally peeled them off! Just to remind you of my previous measurements, the top of my thigh measured 24″, and I couldn’t resist so I had a quick little peek with the tape measure, and it’s already down to 23″ after one week! I haven’t taken any other measurements yet, can’t wait until next Friday to see how much progress has been made. I’ll get a picture up next week so you can check it out. That’s 1 inch off my thighs I will NEVER see again! Finally got into the city centre today, spent an hour looking in Marks and Sparks for a dress with zero success. Walked out the store with a pack of Percy Pigs and some teacakes. 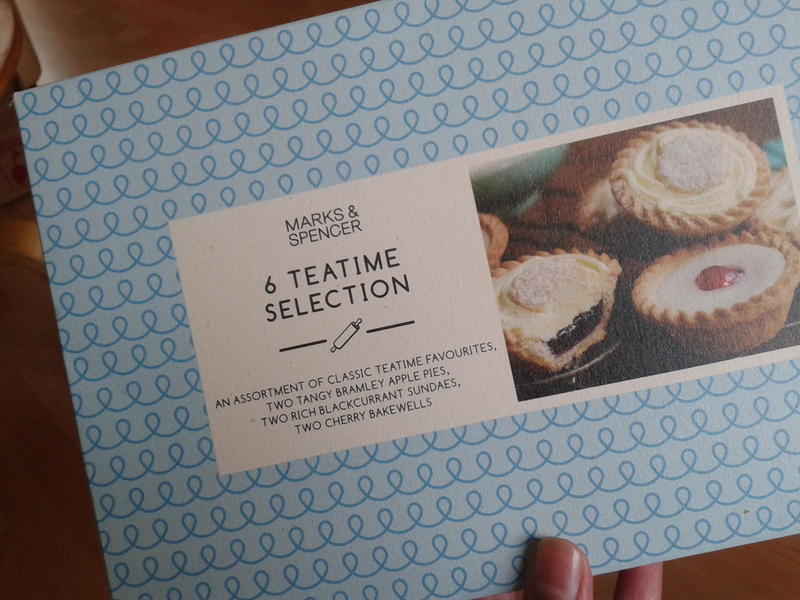 Three cheers for Cherry Bakewells! What, they’re only …200 calories EACH! Had a lovely scheduled rest day today, only bit of light yoga in my HotPants, still managed to break into a light sweat though, keeping the burning going! Hopefully it will counter that bakewell. Debated whether to go for a bike ride, but by the time I got back home it was bucketing it down (as per usual up North). I did have a look briefly at possible races in the area. There is the BUPA Great Manchester run, which is a 10k in May next year, but I wanted something sooner and will be doing the Liverpool Half Marathon next March if I can get the time off and get down to Liverpool. This whole goal thing seems far more real now! EDIT: Just found this now, please check out the Samsung Hope Relay at http://www.samsung.com/uk/london2012/samsung-hope-relay/. For every one mile that is recorded by the GPS app on your phone, £1 will be donated to charity! Bish bash bosh, real good spaetzle? I do love a good bank holiday, especially when it’s the day after another bank holiday. Bless you Queeny! Woke up an hour before my run this morning, so that I could get something to eat before heading out. For my previous runs I’ve been running on empty and wanted to try something new. Armed with my Hotpants, I ended up running sub 10 minute miles, even though I upped the mileage by another half mile to 3.1 miles. Boo-ya-ka-sha! Sub half hour 5k. 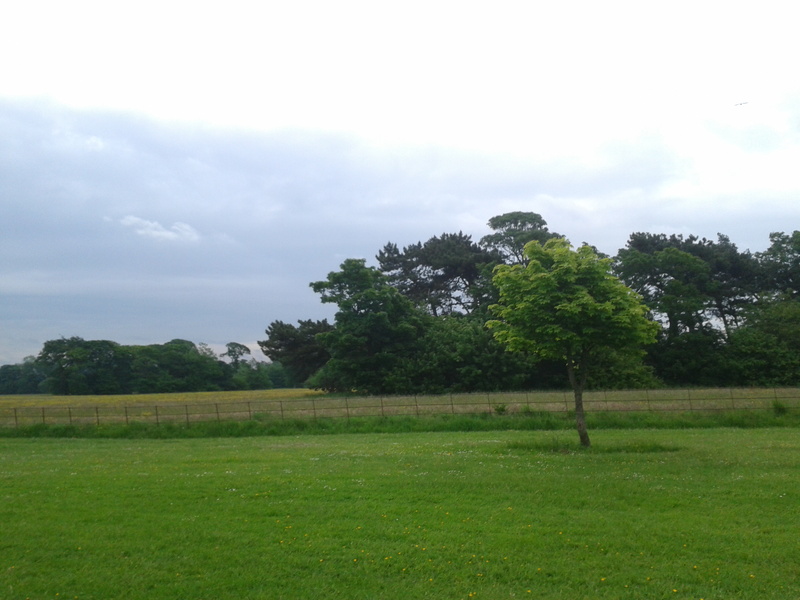 I also got a pic while running; it just looked like a really pretty shot, so I went for it. ‘A prettyish kind of a little wilderness’ – if you recognise the quote, ten points to you! I’m getting nods of recognition in the park now, becoming something of a regular there now! Felt like something de-lish for luncheon, and I tried the recipe for something I saw on the Hairy Bikers Bakeation cooked by a yodeller in the Alps. After reading around, I found that the dish was called Kasnocken, made using Spaetzle. 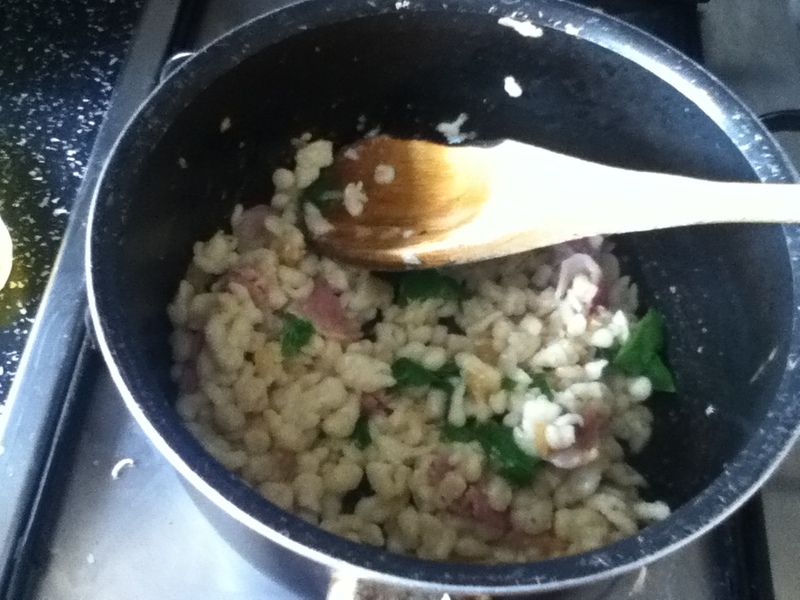 Spaetzle is small dumpling cooked in boiling water. Then to make kasnocken (from what I can tell), you sautee the dumplings in butter, onions, chives and garlic and then add lashings of cheddar cheese. 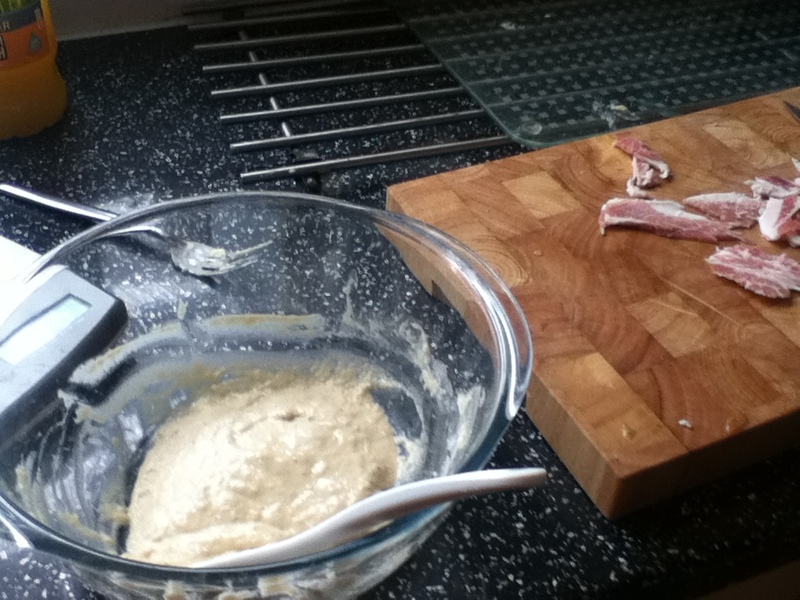 Dumpling mix, and some bacon for the sautee stuff; because everyone loves bacon. Didn’t have any chives, so added a minuscule amount of spinach for greenery. Really grateful for my extra calorie burning Hotpants today; those lashings of cheese were sooo good! I justify it with the spinach in there. It’s healthy, promise! Had a nice relaxing 1.5 mile recovery jog today, I say recovery but I ended up running a 9:30 minute mile which is faster than any run I’ve done so far. Confused… didn’t break too much of a sweat, except my legs due to my Hotpants of course – toned legs here I come! Spent the rest of the day so far doing some baking. 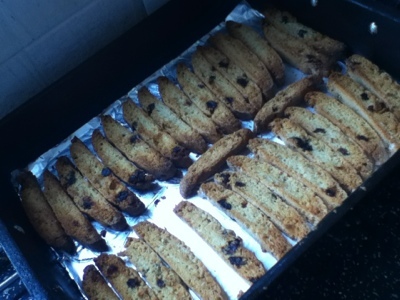 Found a bag of mixed fruit in the cupboard as well as some oats and bread flour, so I mixed it with some baking powder and a couple of eggs and made some biscotti. 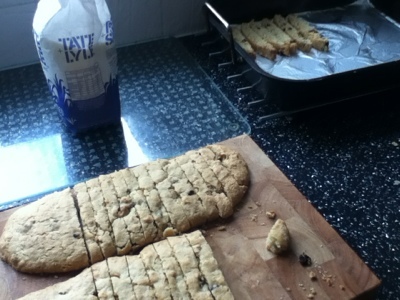 It didn’t rise that much, so the biscotti isn’t very wide because of the bread flour bit still taste pretty good. 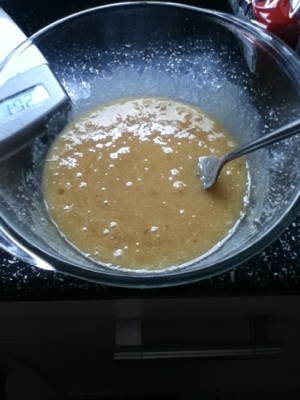 I’ll be sure to get some plain flour next time I’m out. Ah well, you win some you lose some. God bless my rest day, and God save the Queen! While waiting for the Queen to board on the TV I’ve been checking out various races to compete in before the biggie; 5k’s and 10k’s that I can travel to easily. I really like the the look of this one. Just wondering whether the outfits are provided. Either way, this is one I seriously want to do! 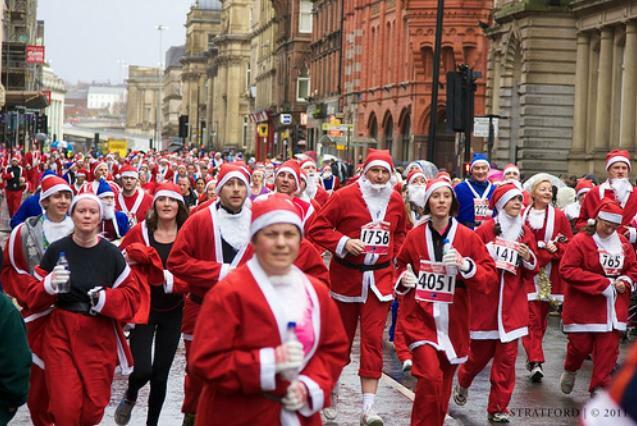 It’s called the Liverpool Santa Dash, and goes right through the city centre. I’ve also decided on Jospice to donate to for this particular race, it’s an excellent cause which runs hospices around Liverpool and St. Helens. I’ll be posting the JustGiving page as soon as I’m entered so please keep checking for updates. Now, as I think the Queen will agree with me, it’s Gin O’Clock time, and so, on with the show! Click any of the buttons below to find out more about my miracle Hotpants! 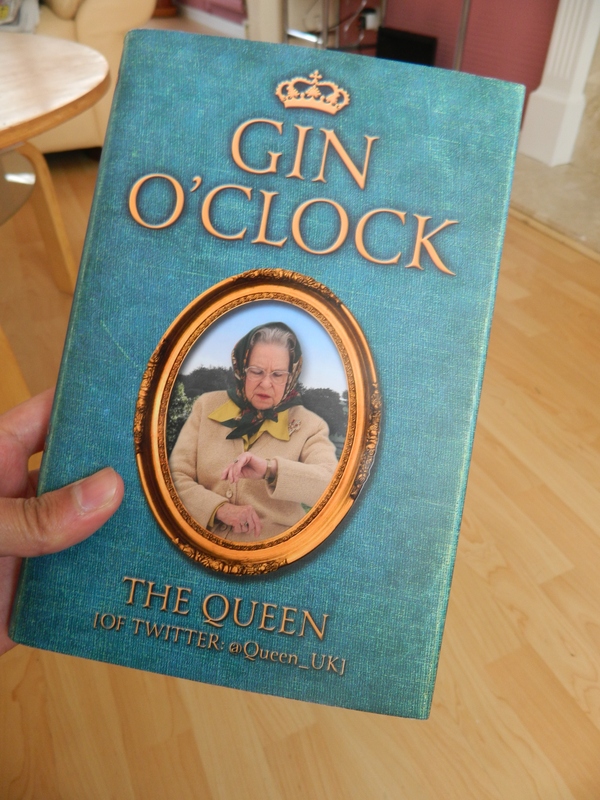 My copy of Gin O’Clock finally came today, extracts from the Queens unofficial diaries. Surely the only souvenir one needs for this weekend! Anyhow, run today was a killer. Aching and dying etc I dragged myself up this morning. Got changed before I checked the weather outside the window, good thing to as if I’d have looked outside before changing, I would have promptly fell back asleep. Was crazy grateful for my Hotpants this morning; it was windy and cold and my arms were freezing but my legs were perfectly toasty for the whole thing. Not that many people in the park, it was slightly foggy and a little bit rainy, but I would not be deterred in my quest for trim legs! Did a 2.6 miler today, at the same pace still. Had ‘Drive By’ blasting from my headphones, resulting in some funny looks as I was singing along. Took my Hotpants off afterwards, legs were beautifully smooth and soft, if a bit sweaty, but it’s nice to see the fruits of your labour. I’m looking forward to the rest of the day and my first rest day of my schedule tomorrow. Like everyone, getting my party on for the Jubilee weekend. God save the Queen! Having a ‘bad’ run day and getting over it!